If you are writing down on your notebook the itinerary of Hoi An tour, you may see top 6 things to do in Hoi An below for your plan. Hoi An used to be a mercantile port of Vietnam. 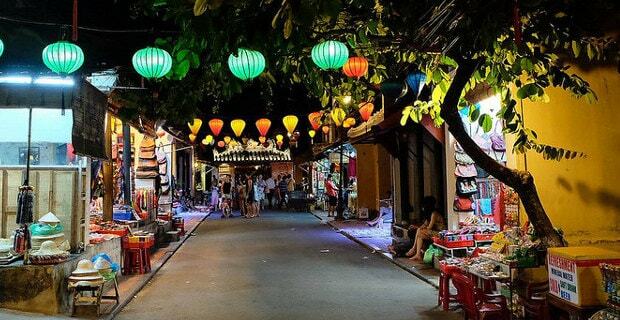 Therefore, coming to Hoi An, tourists can see vestiges of an busy ancient city. Hoi An is very unique town that is absolutely different from the modern crowded Hanoi or Ho Chi Minh City. The peace and slow pace of living keep visitor to slowdown to admire all the landmarks of the city. Moreover, mopeds are banned from the city center, therefore, there is no idea for those who just want to glance at this world heritage. Japanese Covered bridge is a must see landmark for its unique architecture. The 60 feet long bridge has been decorated with traditional Buddhistic roof. On each end of the bridge are dog and monkey statues flanking. The reason for construction of these statues is that the bridge started to be constructed in monkey year and ended in dog year. It is the over 40 year building of the Japanese community before they were forced to return their country under the strict policies of the Japanese king. Visitors can traverse the bridge and go into Chua Cau pagoda to view an assortment of stone or slabs monuments with inscriptions called Steles. Tra Que Village is the place visitors should come for exploring the rural lifestyle. If you fell in love with “Cao Lau” cuisine, you must recognize the name “Tra Que” because one of secrets for a fabulous Cao Lau bowl is greens and herbs from Tra Que village. It is just 2 km long from Hoi An center, therefore, it is so easy to get there to discovery the rural life in a busy touristic town with preparing soil, planting, watering, cycling and cooking. Tourists can have a lot of fun with friendly Vietnamese farmers and have more understanding about the local life. They are taught to plant and harvest vegetables as well as eating dishes made from greens like Cao Lau, Quang noodles,… and ride buffalo to visit the village. 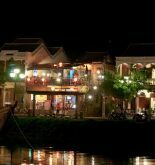 It is different from the peaceful city during the day, Hoi An becomes sparkling when the dark rises. The town lights up a thousand of colorful lanterns and lights, which is so romantic. The brightness and colorfulness of the town attract both widow shopping and peaceful evening walks. Particularly, if it is on 14th day of month in lunar calendar, the tourists can gaze with the full moon and moon-bright river. People drop flower garlands and colorful lanterns then you can look at candlelight floating on the river with dreamlike beauty – The full moon lantern festival. Walking on the street, visitors can find a lot of cute souvenirs for ideal gifts. Lantern and tie are very attractive by its colorfulness that will caught eyes of customers. The shoppers are also friendly to welcome guests come to their house. If you do not try any cuisines in Hoi An, you have not been to Hoi An. Eating food is also a great way to get into the culture of the local. Let’s start the day with a loaf of “banh mi ba Phuong” on No.2B Phan Chau Trinh Str. It will be the perfect start of the day when you enjoy a deluxe sandwich and see the “symphony in the sandwich”- Anthony Bourdain. After scrolling along the streets, you have a number of choices for your lunch. Now you can think about Cao Lau, a specialty that has been highly recommended by all travelers. You can reach Ba be food court in the local central market in the intersection at the corner of Tran Phu street, opposite to Ong pagoda to taste the really local flavor and atmosphere; or you can go to “Thanh Cao Lau” at 26 Thai Phien. In the afternoon, your stomach will continuously send a hungry signal when you wander along the street and attract by delicate smell from food stall. It is a good idea to satisfy your stomach with “banh bao, banh vac” or a Vietnamese pancake at 160 Ly Thai To St. However, don’t indult your hunger fully because there are many specialties waiting for you for dinner. When the sun downs, Hoi An transforms itself from a peaceful town into busy city. If you are still fond of noodles, choose Quang noodles for your dinner with an eating style like the local. In case you want some rice for the main course, let’s go to Ms Buoi Restaurant for chicken rice at 26 Phan Chu Trinh St. There will no pity for your choice. After the dinner, the dessert recommended is corn sweet tea. It is the happy ending for the first day of Hoi An food tour. Here are some more Best Restaurant in Hoi An. It is interesting in Hoi An that the visitors do not only enjoy the special cuisines but also learn the know how to cook them. Visitors should highlight some address for their eager for cooking. Joining the cooking class, learners are taken to the traditional market to choose the best ingredients for their dishes under the guidance of chef. Then they will cook the traditional Hoi An food in Hoi An style. It is fabulous when everyone can learn, practice and enjoy their food. More importantly, the students can learn about Vietnamese culture through the cooking process of Vietnamese people and they can bring the recipes to their country as a reminder about the lovely ancient town. Some addresses that should be noted down in the travel notebook is Morning Glory (106 Nguyen Thai Hoc St.); Taste of Hoi An (109 Nguyen Thai Hoc St.); Hoi An Riverside Resort (175 Cua Dai). It could be a pity if the visitors do not have an outfit made by the skillful tailors Hoi An. Particularly, should you want a Vietnamese style clothes, you had better choose a tailor to make it for you. The tourists can freely choose color, style for every material used. Measurements are taken to ensure the clothes fit you. An advice is you should take the picture about your favorite to the shop and show the tailor your expectation. The tailors in Hoi An has a long tradition of copying and rapidly making up new garments for travelers. Therefore, the tourists can bring clothes or even a picture and they will try to imitate it for you. Besides clothes, shoes can be customized for you. Whatever fabric, style you want, the shoes maker will satisfy the clients with their unique shoes. It can be a good idea for gifts for family and friends. Yaly is suitable for those who are loyal to Western style. “Thu Thuy” is one of the biggest and oldest tailor shop in Hoi An, with a good reputation for quality and hospitality. “Bao Khanh silk” and “A Dong Silk” may be the good names for remembering. Read more about Hoi An shopping guide. Hoi An is a merchant port that was built on the bank of Hoai river. On day, visitors can rent a rowing boat to watch the sunset. It is so beautiful when people are floating on the water and observe the last sunlight of day. The scenery is surprisingly breathtaking scenery that can make people to put the hat down. The feeling is so comfortable and relaxing in front of romantic picture. At night, tourists can rent wooden boat on Hoai river to gaze with party of light. On the 14th day of lunar month, visitors can also drop the flower candles on the river. The river will be lighted up with thousands of candles and the water is sparkling and lights reflected from water come into the symphony of lights from the town. Moreover, visitors have chance to listen to folk music blown in the wind, like listening music in a café but with Vietnamese style. 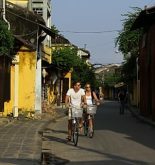 It is not enough to list things for tourists to do in Hoi An. It depends on the expectation and favorite of people to come to Hoi An that an itinerary are designed to fit their demand. 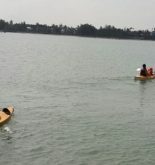 However, those above activities are really high recommendations that should be put on the top things to do in Hoi An. Let’s decide to plan a happy day and you will never have to regret writing down them in your notebook.